Some clients have good information on forestry but may need some expertise in specific areas. DRPforestry is prepared to assist with general forestry advice and information as needed. 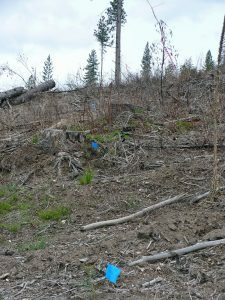 All counties in Idaho and Washington require a Forest Management Plan to qualify for current use timberland tax assessment. Property tax savings are often greater than the cost of writing the plan and filing the application. 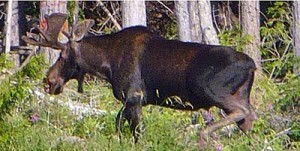 Forest management plans are also necessary to qualify for woodland grants and other monetary assistance. 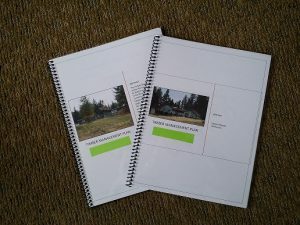 Many private landowners do not have the education or experience to prepare an acceptable plan especially on a large property. Total cost depends on size of property and type of plan. Most large forest industries in the United States are certified by either the Sustainable Forestry Initiative (SFI) or the Forest Stewardship Council (FSC). Members of the American Tree Farm System can also become certified using various ATFS arrangements. All certification systems are required to have periodic audits by third parties. 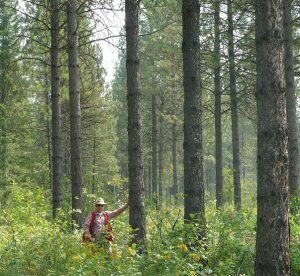 DRPforestry is a qualified Tree Farm inspector in both Washington and Idaho and has the education and experience to be a member of an audit team or to audit an individual Tree Farm. Tree Farm inspections are completed at no cost to the landowner. Contract, research, ownership, due diligence, and historical documents may not often be necessary but are critical because they contribute to the planning process that leads to better results. DRPforestry can develop or review these documents for your use. There is also experience researching the Internet for information and data and preparing summaries of these documents. Most woodland owners eventually need a statistically reliable timber cruise or inventory. This process, which may be necessary to establish a basis for income tax purposes, can save a substantial amount of tax money. An accurate timber volume estimate also acts as a control for harvesting activity. Total cost includes written report. 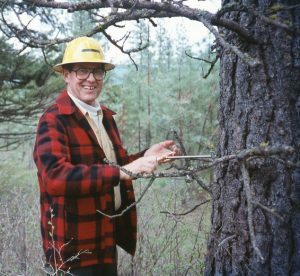 A forester is an advocate for the woodland owner. Foresters assist and protect your interests by setting up environmentally sound timber sales, getting a better price for logs, and keeping a watchful eye on the logging job to make sure it is done correctly. 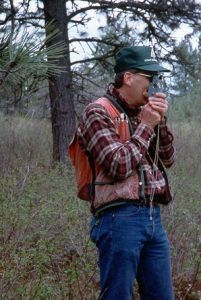 The net income to the landowner is often higher and the condition of the woodland is superior when a forester is present. Minimum sale size: 50 MBF (5-10 acres). DRPforestry can mark your trees, designating the trees to cut, the trees to leave, and the cutting boundaries to make sure you keep the trees you want to keep and the logger cuts the trees you want to sell. 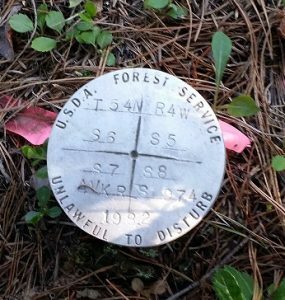 Timber sale marking costs are usually included in the overall timber harvest costs. 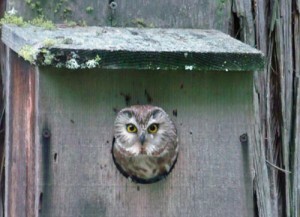 Inexperience in timber sale management can result in poor results and lost income. It can dramatically effect how well the harvest is performed and how much profit is made. It also impacts the future condition of the land. Timber sale administration costs are normally part of the overall timber harvest costs. Costs vary depending on the size of the timber sale. Perhaps you have just had a timber harvest completed and would like to know how well it met your goals. Did the results meet the terms of the timber sale contract? Did the contractor follow Best Management Practices and fulfill the legal obligations? Could anything else have been done to enhance the future value of your woodland asset? DRPforestry can complete this service to help you make better decisions about the future of your forest. Timber harvest analysis is normally part of the timber harvest costs. Total cost includes a written report. Professional appraisers calculate the value of timberland and other assets; however, most do not have experience with the timber component. A qualified and experienced forester can obtain a reliable estimate of the timberland value that can withstand a court examination. DRPforestry has access to historical timberland values, log prices, and logging cost data to refine appraisals, providing the owner with the highest quality valuation of their timberland assets. Cost varies by size of property. An experienced forester is required for setup, contract writing, layout, and supervision of planting, precommercial thinning, herbicide application, pruning, fertilization, and other projects, especially if you are receiving any cost-share funds. You will receive the best contract price and be assured that the contract specifications are followed. Most costs are charged by the acre. Optimum survival and growth of your planted trees depends on adequate site preparation. This includes a written prescription, boundary location, contract preparation and administration, and obtaining specific herbicides and herbicide application, if necessary. Total costs include contractor costs. Average fee: $70/hour for consultant. Total cost: $100-175 per acre. Reforestation improves the quality of your property by soaking up pollution and dust from the air, rebuilding natural habitats and ecosystems, increasing the capture of atmospheric carbon dioxide, and renewing the trees for future harvests. DRPforestry can assist with any part of the reforestation project depending on your needs. Total costs include seedling price and contractor costs. If you would like to know the success of your planting or natural regeneration project, you need a regeneration analysis. Total cost includes field data collection, data analysis, and a written report. Normally included as part of the tree planting project. Precommercial thinning improves the health and increases the growth of trees by removing the excess material. 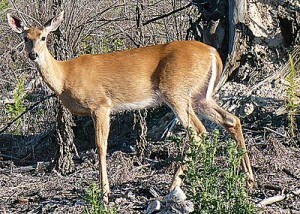 It is one of the most common activities in young stands before the trees are large enough to make a product. Precommercial thinning costs can often be reduced by using grant money when it is available. Total cost is for project setup, boundary location, contract preparation, and project administration and includes contractor costs. 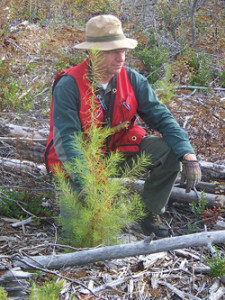 There are four main reasons for pruning your trees: (1) recreation – there is nothing better than the exercise and fresh air from working outside with your trees, (2) aesthetics – your forest will look cleaner and have better views, (3) fire hazard reduction – ladder fuels are decreased, and (4) future revenue – pruning may reduce logging costs and increase timber values. Pruning costs can often be reduced by obtaining grant money when it is available. Total cost includes contractor costs. Total cost: $3-6/pruned tree or $150-600/acre. Your timber is a valuable asset. When that asset is damaged, you may need an accurate estimate of the lost value for tax purposes. The most common damage in the Inland Northwest is from a wildfire or windstorm. DRPforestry is prepared to estimate the value of the damage and clean it up before insects and disease result in further loss. Total Cost: depends on size of project. 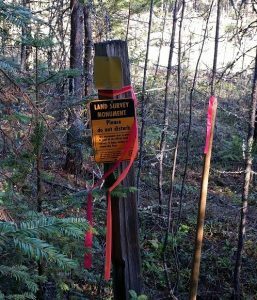 Timber trespass is a problem that landowners hope they never have to experience. But, mistakes do happen and when they do, there is a method to calculate the amount of timber cut and its value so the owner can be compensated. 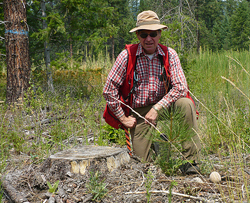 DRPforestry can estimate the volume from a stump cruise and calculate the resulting value. 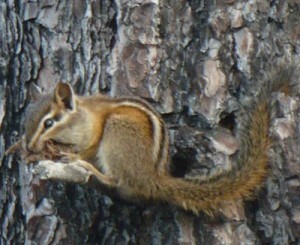 Often, the trespass is an honest mistake and payment is offered after a short discussion with the logger. It is important to get this issue solved quickly and agreeably. Litigation can be more costly than the value of the timber. Boundary lines on your woodland must be well-marked with corners legally established. Visible property lines protect against trespass and illegal timber cutting. DRPforestry can relocate obliterated lines, determine the location of new lines, or establish timber harvest boundaries. Forestry contracts offered by the logger or sawmill do not usually favor the landowner. 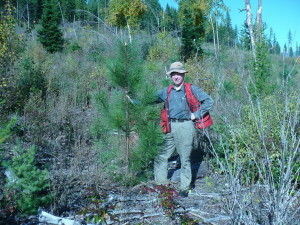 A consulting forester will analyze the contract in the interests of the landowner. Contract review and analysis can save significant dollars, especially if high value timber products are harvested and sold. A poorly-written contract is not only ineffective; it can cost a considerable amount of money, especially if it results in litigation. 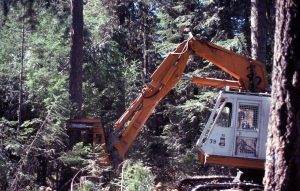 DRPforestry has many years of experience writing, reviewing, and analyzing forestry contracts. This analysis does not take the place of a legal review, but it can reduce the cost by finding common missing contractual elements. Total cost depends on complexity of contract. Litigation is a last resort because it is expensive. However, if the inevitable happens, your attorney will need a competent and knowledgeable forestry expert to assist him. DRPforestry has over 40 years of knowledge and experience and is ready to help where needed. Average fee for field work: $70/hour. Average fee for preparation: $70/hour. Fee for court appearance: $140/hour. In the Inland Northwest, many species of trees are growing less than optimum due to lack of proper nutrition. 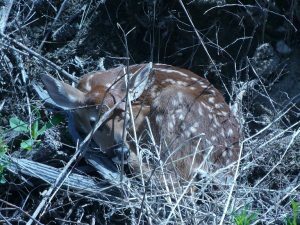 DRPforestry can determine if that is the case on your woodland and develop a fertilization program that will improve tree growth. A fertilization project must be carefully designed if it is intended to increase your profits. There may be other things you can do to enhance tree health and growth besides direct fertilization. 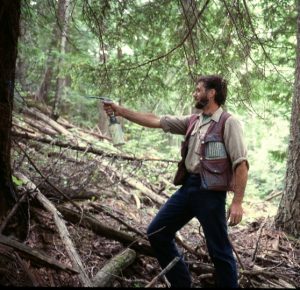 Tree improvement includes all aspects of forest genetics including seed location and collection, seed zone determination, elite tree location, and seed orchard management. Perhaps the most important aspect for a woodland owner is making sure the planted seedlings come from the proper seed zone and will grow well in your particular locality. DRPforestry has a limited supply of improved blister rust resistant western white pine seed for sale to private landowners. Total costs will vary depending on project size. Field data collection is not difficult but the analysis and report writing require experience and education, as well as time. 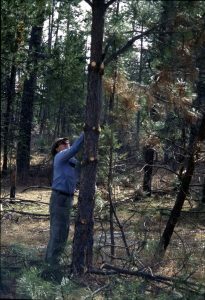 Many field foresters would rather not do this task; however, it is necessary especially if applying for grant money. Total cost varies depending on project size. It is the responsibility of landowners to control noxious weeds on their property. 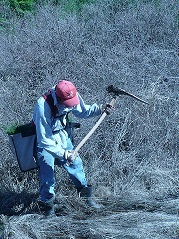 DRPforestry has the proper education, licenses, and insurance to apply herbicides to control noxious and other weeds. 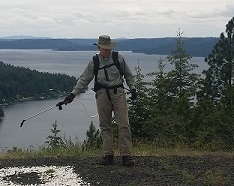 The Senior Forester holds a professional applicator’s license in both Idaho and Washington. He has the equipment and know-how to spray small acreages from 1-5 acres. Total cost includes completion of all legally required documents and a re-inspection but not the cost of herbicides. 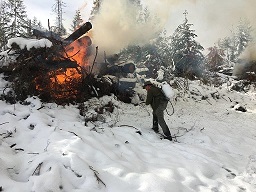 The condition of the woodland within 150 feet of your residence can determine whether a wildfire has the potential to do serious damage to the structure. High density trees and brush with low-hanging limbs are a critical concern because they will carry the fire into the tree crowns making it impossible to control. Thinning the trees and treating the slash can significantly reduce the risk. Often there are cost-share funds to help with the expense. Total cost depends on size and difficulty of project. Average cost = $70 per hour. Minimum cost = 2 hours or $140. Mileage = 65 cents per mile for travel. Daily cost (field work) = $560 per day. Report writing = $75-100 per page. Cruising & appraisal = $10-60 per acre. Timber harvest = $15-40 per thousand board feet (MBF). Tree planting = $0.75-$2.00 per tree. Regeneration analysis = $10-100 per acre or $10 per plot. Precommercial thin = $100-300 per acre. 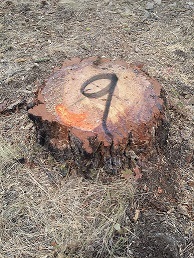 Tree pruning = $3.00-6.00 per tree. Property line maintenance = $500-1,000 per mile. Expert witness testimony = $140 per hour (in-court). All items not specifically shown under fees are $70 per hour and 65 cents per mile. There is no additional charge for the first two hours of travel time (round trip). Costs and fees are estimates only and cannot be guaranteed. However, under normal circumstances DRPforestry can stay within these price ranges. We can create a “not-to-exceed” price before the project starts, if desired. DRPforestry is insured and bonded.